I grew up in Los Altos CA, where I had a fun and mischievous childhood while attending evangelical churches with my family. When I was 12, we moved to Ithaca NY, where the long, cold winters gave this California kid a rude awakening. In upstate NY, I attended a school that was part of a charismatic church called Covenant Love Community; and I was soon baptized in the Christian and Missionary Alliance denomination. During this time, I began taking my schoolwork and my spirituality more seriously, thanks to excellent teachers (including my father); and I started falling in love with literature, thanks to C.S. Lewis and J.R.R. Tolkien. During my sophomore year of high school, we moved back to California, where I graduated from The King’s Academy in Sunnyvale. I was accepted to and considered attending Billy Graham’s alma mater Wheaton College, but decided to remain in sunny California instead and attend “The Wheaton of the West Coast”: Westmont College in Santa Barbara. At Westmont, I double majored in English and Religious Studies, served as the Co-Director of an Urban Ministry Team, and worked as a radio DJ and then General Manager of the college radio station. I also participated in three off-campus programs: in San Francisco, southern Oregon, and the UK, all of which helped pop me out of my evangelical bubble and put me on “the Canterbury trail” which led to the Episcopal Church. After being rewarded the “Most Outstanding Religious Studies Student Award” and being told by the chaplain supervisor at SF General Hospital that I was called to be a minister, I decided to attend Fuller Theological Seminary in Pasadena. During seminary, I worked as a café barista, bookseller and then manager at Borders bookstore while attending All Saints Episcopal Church, where I was confirmed by the Right Rev. Chester Talton on May 12, 2007. While finishing my Master’s degree, I served as the Director of Youth Ministries at Church of Our Saviour in San Gabriel, which eventually sponsored me for ordination. I then pursued a PhD in Christian Spirituality at the Graduate Theological Union while interning at St. Clement’s in Berkeley and St. Alban’s in Albany CA (not NY). I met my wife, Ashley Bacchi, in 2011 at a Religious Studies conference in SF and we subsequently helped each other trudge through and eventually complete our doctorates. During that time, I launched and led a collaborative youth ministry in Marin county; taught courses in Ethics, World Religions, Bible and Spirituality; earned a Certificate of Anglican Studies from CDSP; and published a couple academic articles on prayer. I was ordained to the transitional diaconate by the Right Rev. J. Jon Bruno on June 8, 2013 and then to the priesthood by the Right Rev. Mary Glasspool on January 11, 2014 at St. John’s Cathedral in Los Angeles. A couple years later, Ashley and I tied the knot at Grace Cathedral in SF, on the indoor prayer labyrinth, on May 20, 2016. 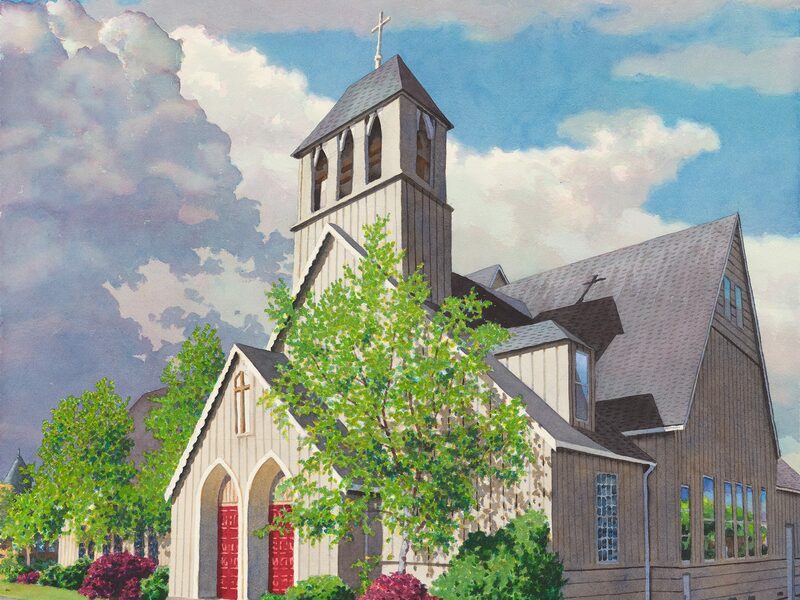 I served as curate at Christ Episcopal Church in Sausalito CA and then as the Priest-in-Charge at the Episcopal Church of the Redeemer in San Rafael, where the average Sunday attendance more than doubled. Ashley and I love traveling, exploring, visiting museums, cooking, reading, wine-tasting, eating sushi, going to the beach, attending theatre, and playing Settlers of Catan (a strategy board game). We are both thrilled to be living in Eureka and I am personally honored, humbled, slightly anxious but mostly excited to be your new rector.